One of the most popular multiplayer online battle arena game - Dota 2 - has been finally released after months of waiting. 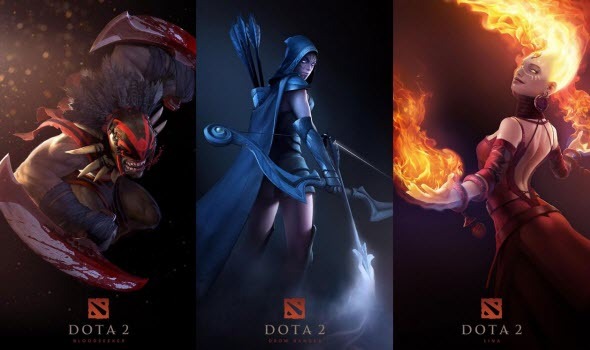 Dota 2 release date was scheduled for 2012, but only today the game is out of beta and is completely ready for the new battles. However, you won't be able to start playing Dota 2 right now, because before you need to wait for your turn. On the official game's page Valve declared that Dota 2 has too many fans - much more than any other company's project. So the developers are afraid of critical server errors and that's why don't want to let everyone play the game simultaneously. To get a chance to play Dota 2, you need to leave a request on Steam and wait for your turn in the long queue of Dota players. After a few days when the servers are ready for the new players, you will get an email with the invitation to start the game. So when your Dota 2 release date will come, still remains unknown, but we are sure that this waiting won't be really long. By the way, the number of Dota 2 players is about 3 millions of people, so it is quite reasonable to worry about the stability of the servers. Dota 2 release date has come only for the PC version. Mac and Linux games are still under development.